This Thursday's pick is a timely one, more timely than I realized when I picked it. 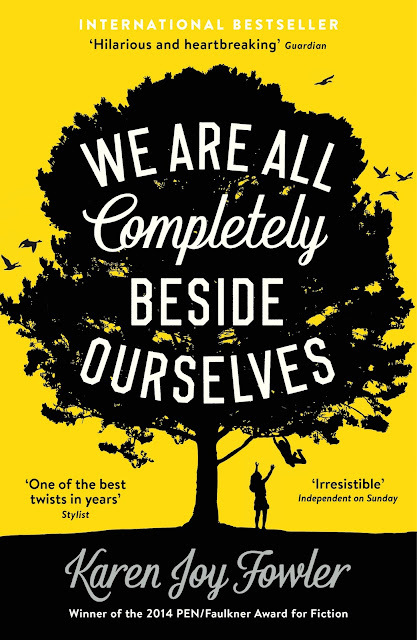 We Are All Completely Beside Ourselves by Karen Joy Fowler was the 2014 winner of the PENN/Faulkner Award for Fiction, and it is a book so unique and so well-written that such a prestigious award is only fitting. As for the timeliness of my pick, I've just discovered that HBO has a mini-series of this book coming out soon, starring Natalie Portman. That alone should get readers' attention that We Are All Completely Beside Ourselves is a must-read. I am including my review of this favorite book, along with its description. Be careful about reading reviews before you read the book, as it is a story easily spoiled. My review is spoiler free. I actually removed a paragraph that might have teetered on spoiler territory. And, don't read the back cover or the inside flap descriptions! The big reveal should be revealed when it comes in the book and not before. Readers need to experience the revelations of this journey for themselves. Meet the Cooke family. Our narrator is Rosemary Cooke. 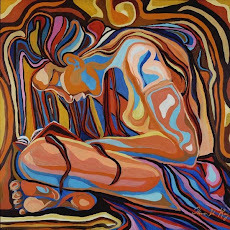 As a child, she never stopped talking; as a young woman, she has wrapped herself in silence: the silence of intentional forgetting, of protective cover. Something happened, something so awful she has buried it in the recesses of her mind. Now her adored older brother is a fugitive, wanted by the FBI for domestic terrorism. And her once lively mother is a shell of her former self, her clever and imperious father now a distant, brooding man. And Fern, Rosemary's beloved sister, her accomplice in all their childhood mischief? Fern's is a fate the family, in all their innocence, could never have imagined. Although this novel is assigned six parts to it, for me it is separated into two parts, before the big reveal and after. 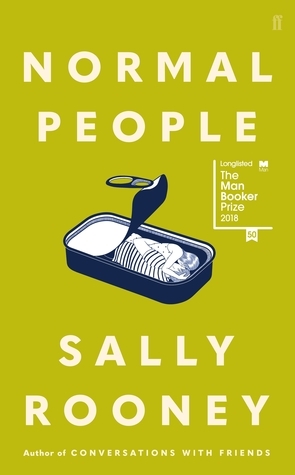 At first, I was bothered by the big reveal, and it annoyed me in the sense of having been tricked or snookered into believing that the book would be about one thing, and, then, a huge monkey-wrench (only the-already-have-read-it will truly appreciate that term) is tossed into the perceived story to come. That the reveal comes almost 100 pages into the book seemed particularly unsporting. However, after getting over my initial shock and disgruntlement, I began to realize what all the hullabaloo over this novel was about. There are quite simply important issues at hand in Rosemary Cooke's narrative of her life, her unusual early childhood and her confused state from age five to early adulthood. Unfortunately, so much cannot be related in this review unless I fill it with spoilers, which I try diligently to avoid in reviews. At the heart of this story is Rosemary Cooke and her family, who experience the closest knit love of togetherness and the consuming grief of unexpected separations. As a loquacious child, Rosie's (Rosemary) father advised her to start in the middle of what she wanted to say, and so it is this very manner in which she proceeds to tell the story of her family from her perspective. It is only after she is in college that she begins to know and understand the perspectives of her other family members. So much is unspoken, too much that Rosie has had to fill in for herself, and not all of her version is accurate, due to missing information. Not to worry. Along with the great reveal are other reveals that plug the holes of faded and selective memory. Rosie might start in the middle, but the beginning and ending (up to a satisfactory point of ending) are disclosed, too. The title is well chosen, as the family is indeed completely beside themselves with a despondency that exists primarily because the deep voids of information are left unresolved for so long. I kept wanting to shout, just ask why or what happened. Alas, Rosie must take her own path (and sweet time) to lift herself out of the fog that encapsulates her. So, Karen Joy Fowler, you have done yourself proud with this novel that touches our hearts and minds in a most profound way. Kudos to your excellent writing, which includes a richness of vocabulary last encountered by me in my earlier years of reading the apposite-worded Agatha Christie novels. I feel rather as if I sucked the pages of your story dry, in that I gleaned so much worth retaining. You, Ms. Fowler, have reached a level of distinction in your writing that demands attention, not to mention awards.